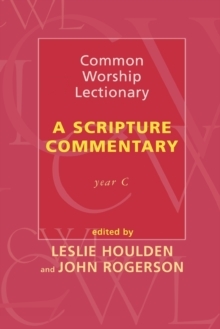 Since the Common Worship Lectionary first came into use, many short preaching aids have been published. They have ranged from brief notes to almost complete sermons. This new companion offers an understanding of some points of significance in each lection for every Sunday and for other major days. It combines the latest scholarship with the conviction that the text should address today's world, squarely facing up to the difficulties that some passages may present to modern congregations. It does not aim to provide a substitute for sermon preparation, but to stimulate reflection among those engaged in this work. This is a serious academic commentary on the readings, by scholars who are also aware of the demands and purposes of preaching.